Redundant Cloud Servers Are Amazing! GlowHost’s redundant cloud services offer a huge amount of protection for your website. If you go with Enterprise Cloud Hosting, you can be assured of some pretty nifty benefits. Have you ever logged onto a website only to receive the “server down” error message? With GlowHost’s redundant cloud servers, this is virtually impossible. There are a huge number of safety nets in place, involving two different power grids as well as backup generators. What this means for you is that no matter what, your website will keep going strong. Not only will your site keep going, but it will go fast. Unlike other so-called “cloud” hosting options which typically rely on just one machine, cloud hosting at GlowHost means that a bunch of different machines are working in tandem to power your site. With so many resources, you are guaranteed greater speed and better performance. This model also means that it’s really simple to add more space, allowing your website to grow and expand with ease. With traditional servers, if you wanted to add more space, you would have to power down the physical machine and add larger hard drives to it. With our cloud you can add space to your cloud server in real time, without so much as a reboot in most cases. If you have a smaller business or website, GlowHost offers a Cloud Virtual Dedicated Server, which is one of the best web hosting options for those users who want to be able to grow their website with ease while keeping all data safely stored in multiple locations. This option allows for the fastest, most flexible hosting at a reasonable price point, perfect for those who are looking to expand in the future. Meanwhile, GlowHost’s management experts will take care of everything complicated behind the scenes. For larger companies or websites that have their own IT staff to help manage things, Enterprise Cloud Hosting may be the best web hosting option, exactly what many have been looking for. Not only does it include all the benefits of standard cloud hosting, but it gives you the power to customize it in all aspects. 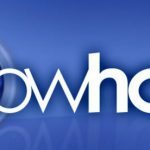 GlowHost’s management team can be considered an extension of your in-house team and are available 24/7/365 in real time. This option is for those who have already made it to the big leagues, who absolutely cannot have their site go down for any reason. For the peace of mind and ease of usability that come with it, it’s totally worth it. This entry was posted in Cloud Hosting and tagged best web hosting, cloud hosting, cloud hosting services, redundant cloud servers on April 28, 2016 by DJ Montauk. When you are looking to start using a web hosting service, there are many technical features that you should be considering in order to make an informed decision. With hosting covering a very wide range of products from shared web hosting to hosting ‘in the cloud,’ finding the right hosting solution for your business can be, at times, overwhelming. There are, however, a number of other factors that should play a key part in your decision making process. In addition to the hardware hosting solution itself, it’s important that you understand the other features of your chosen web host. Often, the best value for your money and return on investment (ROI) comes as a result of service-related features, including customer support, service level agreements, and additional services included in your overall package. GlowHost goes beyond offering the hosting plan that you want. Our goal is to give you the complete service package that you need, delivered with care and quality at all times. Whether you decide to order a shared web hosting, virtual private server hosting (VPS), dedicated server hosting or cloud hosting solution, GlowHost offers a number of value-added services to make setting up and running your server easier and more cost effective than ever. This entry was posted in Uncategorized and tagged cloud hosting services, cloud virtual dedicated server hosting (VDS), cPanel hosting services, dedicated server hosting, shared web hosting, SSL Certificates, virtual private server hosting (VPS) on November 23, 2011 by Matt Lundstrom.